The shocking massacre in New Zealand mosques, which took the lives of 50 and left several others seriously wounded, took the whole world by surprise and the aftermath still affects the globe till today. 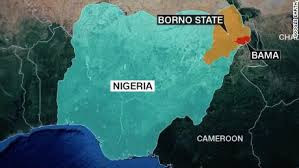 Just like a reappraisal attack, as it have always occurred for several years, with much more brutality Muslim extremist sect Boko Haram killed scores of people in the predominantly Christian village of Michika, Local Government Area, Adamawa State, northeast of Nigeria. More than 140 people in predominantly Christian localities have been killed since February while much of the world was focused on the isolated murder spree by a deranged shooter at the March 15 New Zealand mosque. 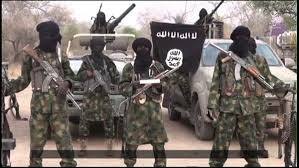 Boko Haram has continued to raid Christians for several years despite Nigerian army efforts and the presence of foreign military advisers. Presently, Nigeria is the 12th worst country in the world for persecution of Christians, according to Open Doors USA’s 2019 World Watch List. Apart from the attacks committed by Boko Haram, Muslim Fulani herdsmen killed thousands of Christians in central Nigeria last year. 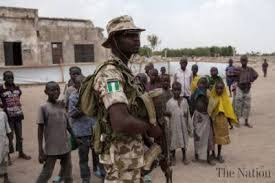 Fleeing residents reported that members of the terrorist Boko Haram forced them out of their homes, looted the village, and set structures on fire. The Nigerian Army intervened, too late to help many who were forced to flee Michika. A report by local media outlined the Nigerian government’s approved version of the events. Like several places in the northern Nigeria, Michika is not the only place in Nigeria where it’s dangerous to be a Christian. In the Kaduna state of central Nigeria, approximately 50 people, including women and children, were killed Feb.25 in the predominantly Christian Adara chiefdom by Muslim Fulani raiders. In addition, more than 140 homes and business were destroyed. The State Governor imposed a dusk-to-dawn curfew for a week. Thousands of people have fled their homes because of the violence. This attack followed on the heels of attacks in February that killed at least 66 people. In the Ungwan Barde village in Kajuru, also in Kaduna State, 17 were also people killed. Several homes have been burned in February. Another attack in Maro in Kaduna state saw about 38 Christians killed. According to Christianity Solidarity Worldwide, a United Nations-recognized NGO that advocates for persecuted Christians, victims in Monday’s attacks included women and children gathered for prayer at a church. The 400 attackers broke up into three groups. One group killed people, the second set buildings ablaze, and a third group ran down fleeing residents. CSW believes that the State Governor, El-Rufai may have exacerbated Muslim sentiments with a claim that 66 Fulani people were killed in Kajuru, Kaduna state. The Federal government refuted the governor’s claim and the Kaduna State Chapter of the Christian Association of Nigeria accused him of lying. According to Morning Star News, Rev. Bakari Ibrahim of the ECWA Evangelical Missionary Society asked for prayers. He said his organization evacuated about 100 children from Kufana. “Please pray for peace in Kaduna state — hundreds have been displaced and hundreds killed by the Fulani jihadists,” said Rev. Ibrahim. CSW called on Nigeria’s government to ensure safety and security for all, regardless of religious affiliation. Aid to the Church in Need interviewed Catherine Ibrahim, a woman from northeastern Nigeria who was forced to watch as Boko Haram terrorists hacked her husband to death three years ago while she watched. Their two children, daughter Salome (7) and son Daniel (5), were abducted by the Muslims. With her feet and hands bound, Ibrahim was tortured for two weeks by the insurgents but eventually managed to escape. Returning home, she was nursed back to health by her mother-in-law and was eventually reunited with her children at refugee camp operated by the Catholic diocese of Maiduguri. Despite months of physical therapy, Ibrahim has yet to regain full use of her hands.